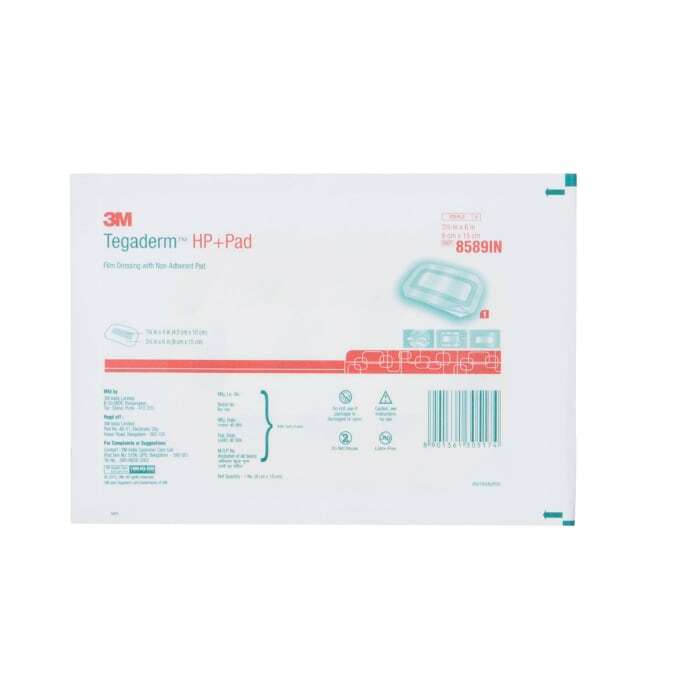 3M Tegaderm HP+PAD 8589IN (9 x 15) cm provides a waterproof, sterile barrier to external contaminants including liquids, bacteria, and viruses. In vitro testing shows that the transparent film provides a viral barrier from viruses 27 nm in diameter or larger while the dressing remains intact without leakage. Transparent dressing allows for continuous visibility to the I.V. insertion site. Picture-frame delivery makes accurate placement easy. To cover and protect I.V. catheter sites. Skin tears and minor excisions. Stage I or II pressure ulcers. Autolytic debridement facilitated by the moist wound healing environment. Post tattoo application and removal. Conformable dressing flexes with the skin for greater patient comfort. Unique shapes and designs for both IV and wound needs. Provides a waterproof, sterile barrier to external contaminants including liquids, bacteria, and viruses. Made with a hypoallergenic, latex-free adhesive that is gentle to the skin yet holds catheters and other devices in place. 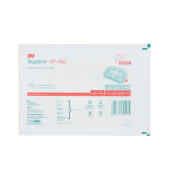 A licensed pharmacy from your nearest location will deliver 3M Tegaderm HP+ Pad 8589IN. Once the pharmacy accepts your order, the details of the pharmacy will be shared with you. Acceptance of your order is based on the validity of your prescription and the availability of this medicine.